Leaders often agonise over measuring team member results due to the difficulty in obtaining clean data that clearly defines an employees contribution to the organisation in a fair and transparent way. 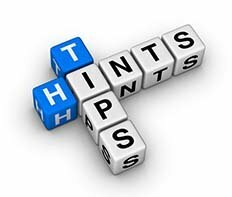 Even when the metrics are tangible such as sales results or number of units of work completed you will find that unless you were very specific when defining the target there is still some room for interpretation. A sales person who met their annual sales target, however this was made up of seven good months where sales were above target and five bad months where the sales target was not met. Did this employee meet expectations? It depends on how the objectives was defined was the target to meet the end of year result or was it to meet target each month for 12 months? 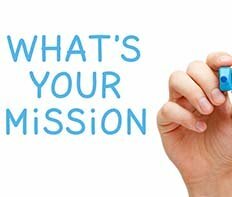 The first step to measuring results is to define the objective clearly and agree how the objective will be measured. From our rating methods page, you will find the following rating methods are typically used in employee performance reviews. Each method requires a slightly different approach to determining the employees overall rating. 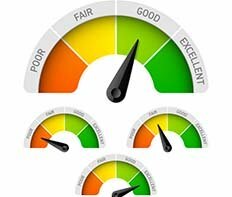 When completing your employee performance reviews using a graphic rating scale you may find that there is no criteria for each of the rating intervals, this makes it hard to determine what score to give the employee. The challenge this creates for you is to be fair and consistent. One technique that may help with this is to identify an employee who is maybe slightly above expectation and another who is slightly below expectations and then as you rate your people determine which they are more like and assign ratings accordingly. When you have hard data with a clearly defined performance standard this is relatively easy, however if you are rating your people on behavioural attributes such as teamwork, you may find it a little harder. Then consider and list all of the unique qualities about each of your employees under each heading, from this you will be able to formulate a comprehensive essay. When using a global rating method in your employee performance reviews, you may find it helpful to complete a quick pass through all of your people and assign a rating. Then group all of the people at each rating interval and ask yourself “Are these people all on par with each other?” repeat for each rating interval. Then as a final check make sure that there is a difference between the people at each rating interval. The Behavioral Anchored Rating Scale (BARS) generally cincludes detailed descriptions of the required behaviour at each rating level which makes it easier to assess your employee’s performance against predetermined standard. It also makes it easier to have a meaningful discussion with your employee about your selected rating and to prepare development plans. Using management by objectives in your employee performance reviews to determine overall performance rating places greater emphasis on your ability to summarise your regular, monthly, discussions with your employee. In management by objectives your overall rating is very much dependant on the quality of the discussions that you have with each of your people throughout the year. One thing that you may like to try is advising your employee of the rating that you would currently give them during your monthly one on ones and discuss the reason for this rating. This way both you and the employee will have the same expectation at the end of the year. If you have set a target and you find that everyone in your business is behind that target you have to determine if the target was fair. You will need to find out why the team is not meeting the target. If the team is working hard and the target is too high then you may need to rethink your target. If the team is really just a poor performing team then what has the manager been doing? When the individual’s performance is related to paying bonuses and the bonus is linked to pre determined performance targets, managers are often reluctant to change the targets. However, someone can miss their goals that relate to their bonus but can still be rated as a good performer related to team performance. The best performer in your team should not be rated as a poor performer. One thing that you can do in this case is to calculate the average performance in your team, then determine where each of your people fit, they are either below average, slightly above average or well above average. Many managers insist on all measures being tangible or easy to measure as tangible measures are not as subject to bias or interpretation as intangible measures. However, well-managed intangible goals can result in significant increases in employee performance. So, how do you do it? Each month you have a frank and honest discussion with your employee about how you see their performance, including how you would currently rate your employee’s performance and why, this is a two-way conversation where you are open to influence. The conversation concludes with you advising the employee what you would need to see from them to increase your view of their rating. Do not shy away from using intangible measures. If you need to use them, then use them and enjoy the regular conversations with your team about their performance. 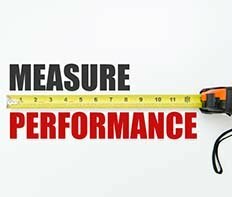 How do you rate new employees, they are often performing below performance targets, however they are not generally poor performers. Ideally you will have a policy that new employees cannot be rated until they have been in your team for a reasonable amount of time, hence new employee are not rated at all. However, if you have to rate them there are two ways to look at this scenario and it depends on your organizations policies which way you go. As a leader, when competing your employee performance reviews you will have to allocate sufficient time to determining each employees rating. You should review your one on one notes and consider all supporting data. You will find that there is no substitute for having regular open and honest conversations with your people about their performance through out the year and ensuring your end of year appraisal is consistent with these conversations.